Below is a page from one of the essays on the Tutor/Mentor Institute web site, which is one of several web sites where I share information. This essay shows some of what we've done to keep this commitment over the past 16 years. 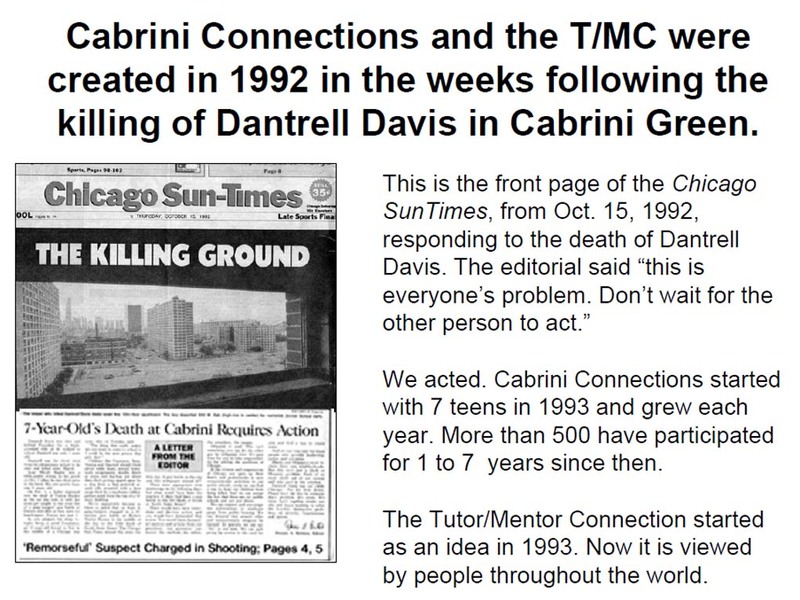 This report shows impact since 2000 from the Cabrini Connections program we lead, and from the Tutor/Mentor Connection. This chart shows growth of web traffic to our sites since 2000. This enables people from through the Chicago region, or the world, to use the information we collect and share. The cost to recreate what we have spent 16 years building would be far more than what it takes to maintain this information base from year to year. If you would like to become a benefactor or sponsor and share the credit for this resource, please contact me or use this form to send a donation. In today's Chicago Tribune on section offered advise from six Tribune writers. I'm usually able to link from my blog to these stories but I cannot find a reference to this on the Tribune's web site today. What I did not see was advise focused on mobilizing the talent, generosity and time of Chicago and suburban residents to help solve deeply ingrained problems. Maybe that is a "given" in what each expert offers, but I'd like to see this as a core commitment of the new Mayor. The ideas we share are for him and other leaders to read, reflect and incorporate into their own leadership. 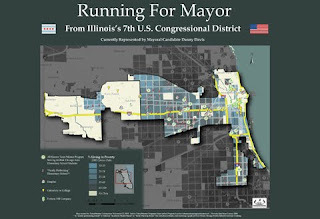 I had a dream last night, where the new Mayor of Chicago, Rahm Emanuel, was using Tutor/Mentor Connection maps, blogs, and web sites as part of his commitment to helping all Chicago kids have brighter futures. Maybe he would create an animation like this that illustrates his strategy. He might show maps like this and the Tutor/Mentor Program locator, to illustrate his goal of supporting youth learning and mentoring in all high poverty neighborhoods, with business and faith involvement near places where they have facilities or where they do business. 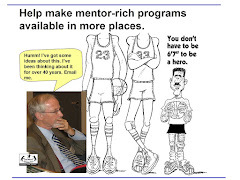 He would be pointing people to the articles on the Tutor/Mentor Connection blogs, and to information about leadership roles hosted on the Tutor/Mentor Institute site. He might even use his considerable power of persuasion, or excess campaign funds, to provide $5 million, or five years of funding, for the Tutor/Mentor Connection to help him achieve these goals. This was just a dream. But if you show this to the mayor-elect or his supporters, maybe it can become a reality. Watch for more articles illustrating the dreams I've had about what the new Mayor and other leaders might do to help kids in poverty move through school and into jobs and careers. Be like Mike. Be like El. Starting a tutor/mentor program is easy. Keeping it going for a decade or more and constantly finding ways to get better is the hard part. This video was created to inspire volunteers and donors to raise money for the Cabrini Madness Fund Raising tournament. Maybe from Cabrini Connections on Vimeo. El Da'Sheon Nix and Bradley Troast,the leaders at Cabrini Connections, collaborate to lead the weekly program activities and to create these videos. The inspiration for this one came from the video below, featuring Michael Jordan. 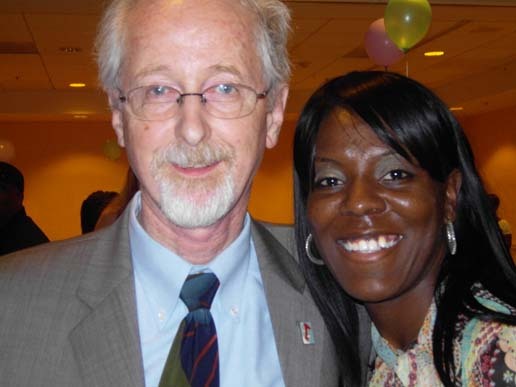 It takes the work of many people, over many years, to help programs like Cabrini Connections become a fixture in the lives of inner city kids. I wrote this article last week to show how important Cabrini Madness is to our fund raising, and to increasing volunteer involvement and ownership in the overall vision of Cabrini Connections and the Tutor/Mentor Connection. 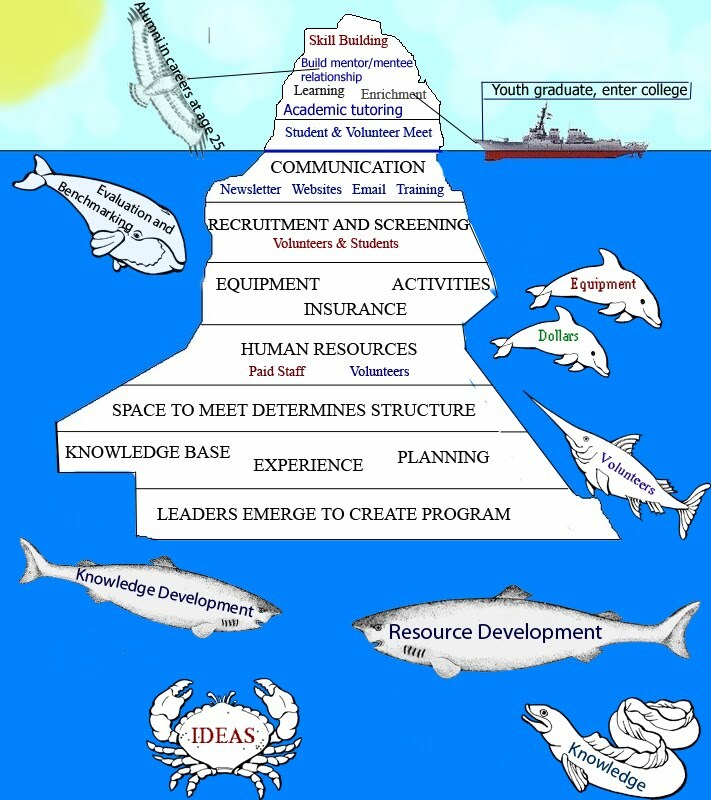 I use graphics like this to emphasize that we seek the engagement of people from every industry sector in this on-going process of innovation and program development, not just the people who are current tutors/mentors at Cabrini Connections. If we want more kids born in poverty to have adult lives free from its chains, able to raise their own kids in diverse communities of greater hope and opportunity, we must "be like Mike" and "be like El" with the work and commitment we're willing to bring to the game every day. Not all volunteering is the same. One of the most valuable resources on Corporate Volunteering that I know of is a group from Canada called Realized Worth, which works with companies to design and implement outstanding corporate volunteering programs. This article titled "Not all Volunteer Programs are Created Equal" shows that if companies want greater impact from their volunteer programs, they need to encourage more than "done in a day" type projects. In Washington last month 17 major corporations made commitments to reduce the high school drop out rate through their support of mentoring. I wonder if these companies have internal teams who are looking at information provided by groups like Realized Worth, or the Tutor/Mentor Connection, to support the way they encourage and support volunteer involvement in this field. Below is a graphic that we've used to describe volunteer-involvement as a form of service learning. Below is another graphic, showing how an intern from IIT has been building an updated version of this. It's not complete yet. No voice over. However, imagine how much more effective this might be if a team of volunteers from a graphics company or advertising agency were working on it. You can play this animation at this link. Follow the work of our interns at this forum. These animations were created using ideas we've posted in the Tutor/Mentor Institute library. If companies want to encourage meaningful long-term involvement in programs and strategies that affect the quality of the workforce, the poverty and quality of schools in cities where they do business or have facilities, and the overall cost of poverty in this country, the ideas of experts like Realized Worth and that we post on the T/MC site would be good starting places, as well as long-term knowledge bases. Contact us at Cabrini Connections, Tutor/Mentor Connection if you'd like to become our partner in this effort. I went on to the Tutor/Mentor Connection forum this morning and saw that one of my African friends, Abdiel Kude, had created a new blog. When I looked at it I was surprised to see my own photo with this message. "Two gentlemen have influenced my decision to start blogging. One of them is Dan F. Bassill of Cabrini Connections and TutorMentor Connections, Chicago, USA"
I often do Google searches for "tutor mentor" just to see where our ideas are being looked at and I've found sites in different parts of the world where ideas we created are being shared. This illustrates how the Internet has changed how we work and who we help. It also changes the potential of who helps us. We don't need to depend just on Chicago philanthropy and volunteers, we can find help and give help in all parts of the world. I've used this picture before to illustrate how small and insignificant if feel as I think about how big the world is and how complex the problems are that we're all dealing with. I believed that the world changed dramatically with the Internet because of the ways it enables people from different places to connect, share ideas, and as Egypt has just demonstrated, change government structures. However, there are many challenges to overcome. This blog shows five major technology hurdles that need to be solved. I tried to post a comment, but the site did not seem to be working, so I decided to share my comment here. Solving these five problems would help, but are any of you following examples of how these tools are being used to create networks of purpose. By that I mean people who work together to solve a common problem that is complex and may take many years to solve. For example, visit http://www.tutormentorexchange.net where you can see maps of Chicago showing all of the poverty regions. You can see graphics showing "school to work" which is a 20 year process for kids starting 1st grade today. 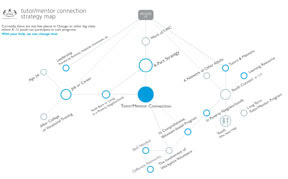 You can see maps of the information people can learn from to support their own involvement. Keeping this example in mind, apply it to what's happening in Egypt. Social media was used to bring a crowd together to bring change in the government, but can anyone point to a place on the web where people are mapping a 20-50 year process that would bring true change to the lives of poor people living in Egypt? Harnessing the tools described in this blog is one step toward this goal, but working together to innovate and map solutions, then draw people and resources together on an on-going -- and dramatically growing -- basis to apply those solutions, still is a problem to be solved. If you want to help the Tutor/Mentor Connection and Cabrini Connections build better understanding of the challenges facing inner city kids and the opportunities that mentor-rich programs offer, join us on the Tutor/Mentor Connection forum and help us the same way that other interns and volunteers are already involved. Or use your wealth the way the Koch Brothers are to finance the work we're doing. The graphic below shows a map of Chicago where more than 200,000 school age youth live in high poverty neighborhoods. The arrow points to the Cabrini Green neighborhood on the Near North part of the city where we have operated the Cabrini Connections program since 1993. 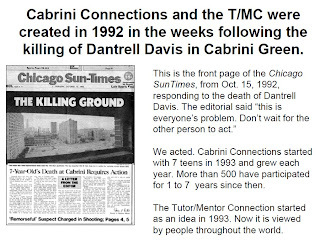 Before that I led the Montgomery Ward/Cabrini Green tutoring program from 1975 to 1992, which was hosted at the Wards corporate headquarters on Chicago Avenue (same neighborhood). Thus I've many years of experience in mobilizing volunteers and recruiting inner city kids to be part of weekly non-school tutor/mentor program activities. Leo was in 4th grade when we first me in 1973. We're still connected today. He has completed a new movie "Count It All Joy” that is an official selection in the 1st Annual Hollywood Christian Film Festival . Tangela graduated from high school in the late 1990s. She's finished college and is in graduate school now. She was a speaker at our 2011 year end dinner. 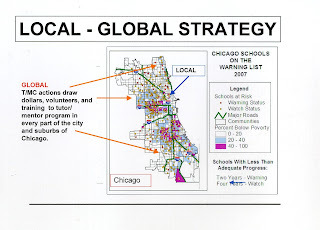 The Local-Global chart shows a map of Chicago, illustrating my commitment to helping programs like Cabrini Connections be available to youth in all high poverty neighborhoods, as well as my understanding that without support from businesses, universities, faith groups and public leaders, we can't do as much as we need to do to help the teens at Cabrini Connections. In this series of articles I show what we accomplished over the past decade, and the financial challenges we faced. 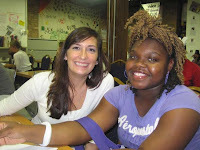 During the 18 years since we formed Cabrini Connections, Tutor/Mentor Connection our first commitment has always been to the teens we work directly with. 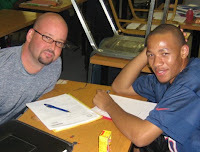 Thus, when funds are tight, or when leaders don't support the Tutor/Mentor Connection, we continue to focus on work needed every day to help the teens and volunteers of Cabrini Connections stay connected. Chicago is going through a huge transition. Residents will elect a new Mayor and many new aldermen. We have a new Governor. We have two new leaders at Chicago Public Schools in Terry Mazany and Charles Payne. 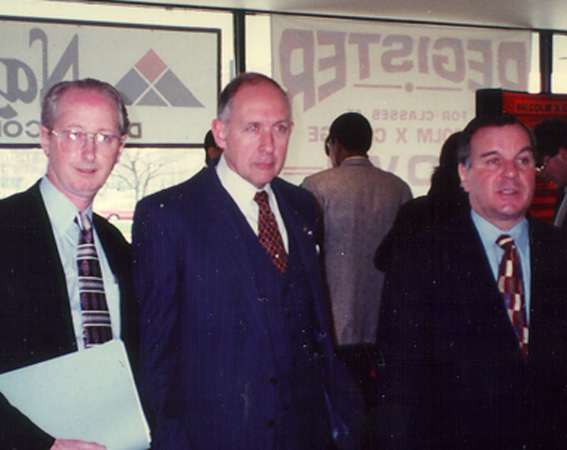 I've shared information from the Tutor/Mentor Connection with these people and hundreds of other leaders every year since 1993. Here's an example. Our use of maps has been available since 1994. Yet we still don't see much evidence of leaders using these ideas and we don't have much financial support for our efforts to help tutor/mentor programs grow in all parts of the Chicago region. Thus, we continue to focus on helping the 70-80 teens and growing number of alumni of Cabrini Connections stay connected to volunteers and each other and to the library of information we've been collecting. During February and March our students, volunteers and friends are involved in the 2nd Annual Cabrini Madness competition, where teams compete to see who can raise the most money to support the ongoing operations of Cabrini Connections. I hope you'll join a team and help us. I hope you'll share these ideas in your business, faith group and college to help similar programs reach youth in more places. How many times have you heard the statement "your preaching to the chior" meaning the people you're talking to already are deeply committed to what you are talking about? To me, that's the problem with anti-poverty and school reform efforts. There are too few people who don't live in poverty, but do vote, and do control wealth and jobs, who are personally connected and engaged. How many leaders do you know who incorporate the leadership strategies shown here? In today's Chicago Tribune, one article's headline was "Schools will be major test for next mayor"
I wish voters in Chicago actually were holding the Mayor and other elected officials accountable for what they do to improve student learning. If that were true we might have had a new mayor in Chicago more than once over the past 18 years. If that were true candidates and voters might be reading the map articles we post on the Tutor/Mentor and Mapping for Justice blogs. 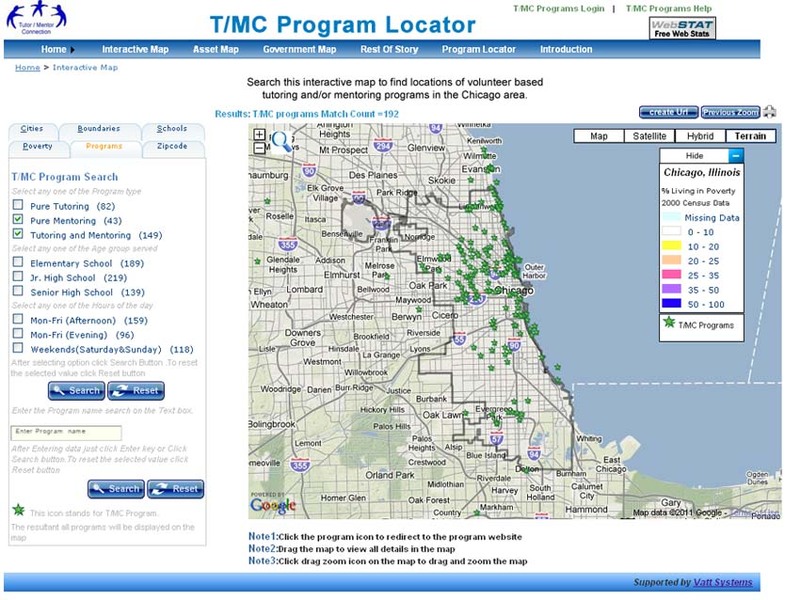 Philanthropist and corporate sponsors might be providing funds to help us create these maps and share information about tutor/mentor programs in Chicago. While maps can show where poverty and poorly performing schools are located, and if there are any non-school tutor/mentor programs in a neighborhood, voters and leaders still need to do their own homework to know more about the poverty gap, and why it is a critical issue that affects all of us, not just the poor. This web site is one resource we'd point to. When most people think about tutoring/mentoring they ask about the impact on kids. That's important, and the goal, but I've been trying to get the Mayor and other leaders to step back and think of this from a larger perspective. Think about how long-term involvement in a mentoring program creates a bond between the youth and volunteer and how the volunteer learns more about the challenges of inner city poverty through this experience. Mentoring in well-organized, long-term programs connects people who don't live in poverty with those who do. Many of the volunteers who get involved stay connected to youth for many years. Many become donors and help build capacity of the schools and/or non-school programs they work with. If we cannot increase the resources available, and sustain these consistently for many years, how can we expect to help a youth entering an inner-city school today be graduating with a college and career plan in 12 years. With public funds shrinking, how can we expand private sector involvement? When we think of volunteer-based tutoring/mentoring I feel we need to think of how transforming the volunteer can create new leaders and new sources of ideas, talent and dollars to support all of the afterschool programs the candidates for Mayor are talking about. Thus leaders need to be thinking of strategies that support the infrastructure of existing programs and help new programs grow where none now exist. I wrote about this in this blog article, and an intern from the University of Michigan created this animated presentation to interpret this concept. You can see more ideas like this on this page. 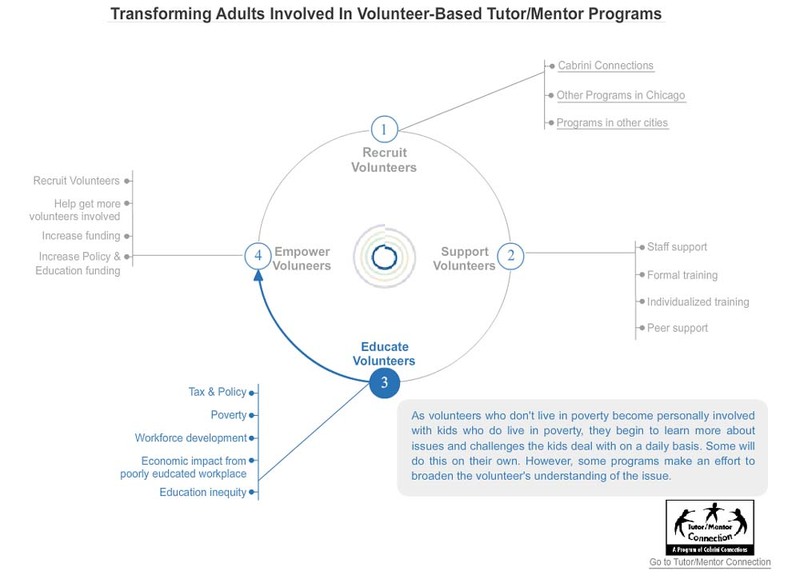 If Mayor Daley had embraced the ideas we were offering him since we first met in the early 1990s perhaps there would be a much broader distribution of volunteer-based tutor/mentor programs in Chicago. Perhaps there would be thousands of people like me who grew up outside of Chicago without any exposure to poverty or to minorities who now spend 50 hours or more a week working to help Chicago kids expand their networks and learning opportunities. We cannot change what is past. 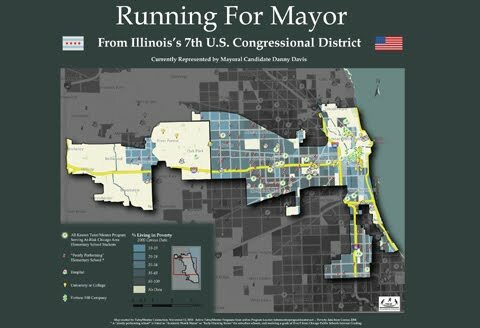 Whoever is elected in Chicago and other cities this year can change what happens in the future. We'd like to help these leaders understand and use the information we've been collecting and sharing for the past 18 years. If you're connected to one of the candidates why not introduce us. Maybe they can incorporate some of these ideas in their campaign platforms and implement them when they get elected. At the end of January "more than 17 U.S. corporations made commitments to expand or create mentoring programs that increase graduation rates among America's youth and position them for success". We want to help them keep this commitment. Please read more. 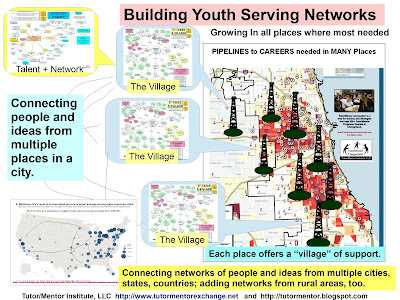 In past articles we've used this graphic to illustrate the infrastructure needed at places like Cabrini Connections to attract youth and volunteers and support them so they stay connected for many years. 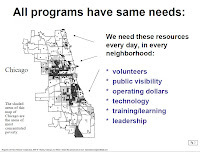 We use maps and graphics like this to illustrate that Chicago needs high quality tutor/mentor programs in every poverty neighborhood and that every non profit tutor/mentor program has the same need for visibility, volunteers, operating dollars, technology, ideas, highly motivated staff, etc. This article illustrates how we create animated graphics to help people understand and respond to this message. When I talk to volunteers and leaders of Cabrini Connections I find myself constantly scratching out the same concept over and over. So I've created the chart below. 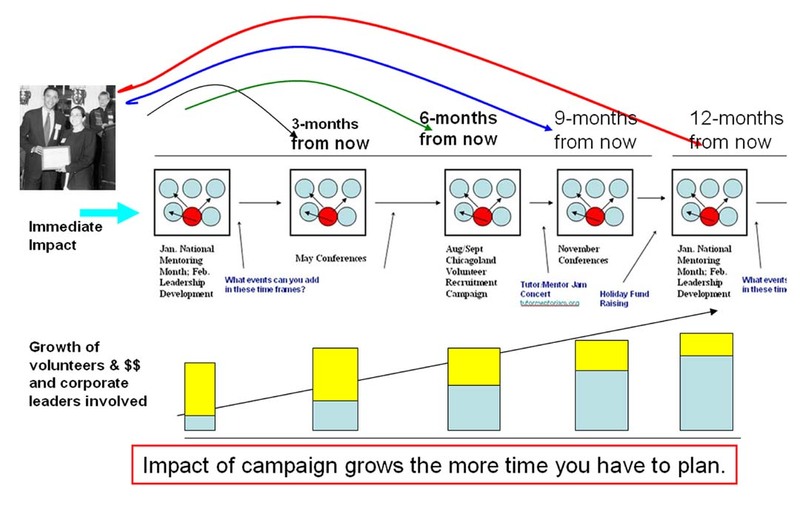 This chart illustrates that a company's impact can grow if they begin to plan further in advance, and if they apply the same process improvement tools that they use to grow their business. 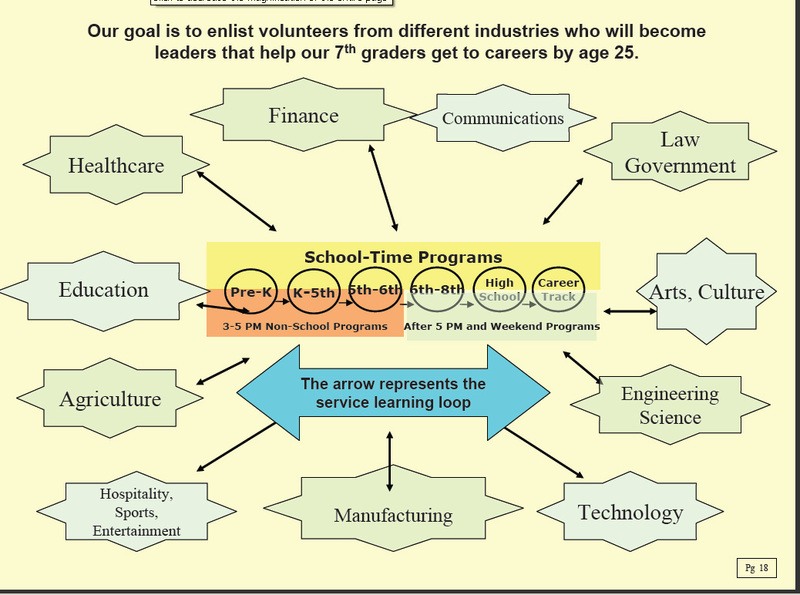 This chart shows a 12 month cycle of events that supports what happens at schools and non-school tutor/mentor programs. For instance, in May and June school is ending. This is when we should be celebrating what happened in tutor/mentor programs, while also sharing ideas that can be used to make each tutor/mentor program better when school starts in the fall. 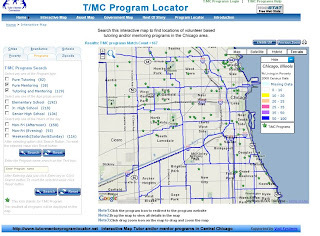 In August, when school starts and every tutor/mentor program is looking for volunteers, corporate communications and advertising could be encouraging volunteers to get involved in many locations, if they were pointing to program locator databases like the T/MC maintains. In September and October company workplace fund raising campaigns could be encouraging other employees to make donations to support the infrastructure at places were some employees are tutors/mentors. In November there's an opportunity for programs to come together and share ideas, and celebrate the volunteers and kids who have joined tutor/mentor programs in the fall. 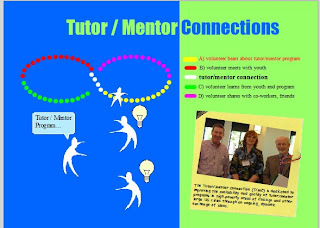 This publicity can help recruit more volunteers to be tutors/mentors, and some volunteers to be tech support, communicators, accountants, etc. It can also motivate more donors to make year-end donations during the holiday season to support tutor/mentor programs. By next January, there could be a wealth of actions that have taken place in the previous 12 months, that could be celebrated, shared, and used to stimulate involvement of more businesses and more volunteers during the next 12-month cycle. This planning cycle is describe in this pdf essay. It does not change from year to year. What we hope changes is the number of businesses who take on leadership roles, and the number of volunteers and operating dollars that begin to flow to ALL of the volunteer-based tutor/mentor programs operating in Chicago and other cities. 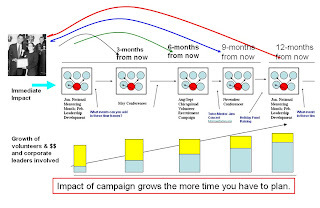 This graphic shows that what happens in the month following the Mentoring Summit and the corporate announcement is small compared to what could happen in three, six, nine and 12 months or in two to five years if corporate leaders recruit and empower marketing teams to grow the company's involvement and to plan ahead so they maximize and grow their own impact from year to year. This animated presentation shows this quarterly event cycle. If people who read this article pass it on to corporate managers and CEOs some will see this as a business strategy that they can apply which will engage more of their employees and customers and have a greater impact on reducing the drop out rate while also improving employee skills, informal networks and loyalty to the companies that supports this process. If you'd like to have me come and talk to your company about these ideas we'd be more than willing to help. 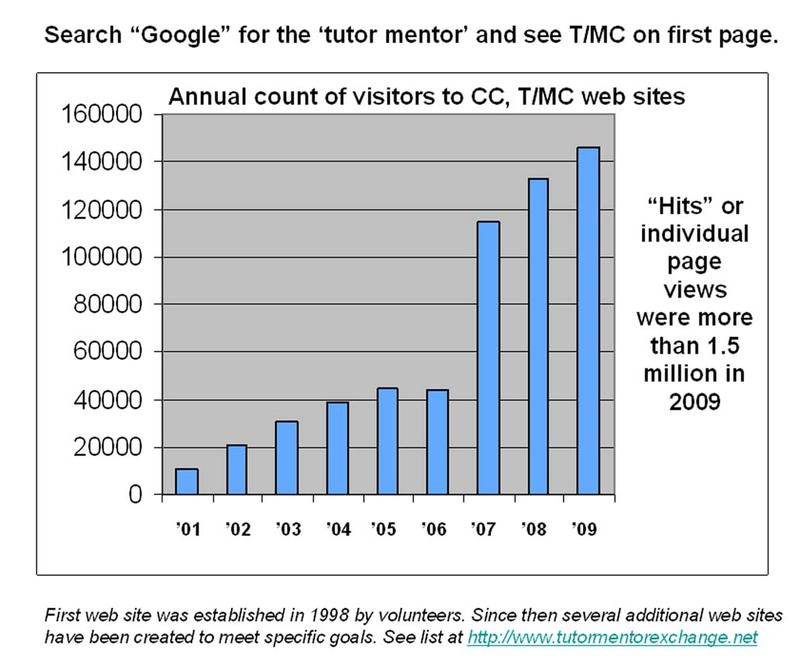 Part of the strategy of the Tutor/Mentor Connection is to increase the number of people looking at information we collect and share so they begin to take actions that make more and better tutor/mentor programs available. We've never had much money to advertise, so we've looked for other ways to share our ideas. We've been part of blog exchanges since 2005. Today an article I wrote is featured on the Empowered.org web site blog. In this article I share my own ideas about building networks of people who focus on common goals. Empowered.org is one of a growing number of platforms that "empowers groups to mobilize for their desired social change. From small grass-roots clubs to complex international organizations, Empowered.org provides a flexible platform to fundraise and recruit/coordinate volunteers." The challenge I see for these groups is competing with each other for non-profits and supporters who will spend enough time on the site to raise a significant level of funds for the cause they support. Small non profits don't have the manpower to maintain an identity on all of these sites. Their volunteers are fragmented, and have even less time to do marketing and mobilization. I think that by inviting me to be part of a blog-exchange they've taken a step that gets more of our attention than do other sites that I've been part of in the past. The test will be if any of our Cabrini Connections, Tutor/Mentor Connection followers or peers go on the site and set up meaningful actions that help us achieve our mission. I encourage you to read this article on Catalyst Chicago's web site showing that the Chicago Public School Culture of Calm program is barely getting off the ground as its funding runs dry. This program has spent more than $10 million to help less than 250 of Chicago's highest risk youth. Imagine if Tutor/Mentor Connection had just a million dollars a year to help youth in every high poverty neighborhood have better access to non-school tutor/mentor programs. While you're home on snow day, or sick day, here's some videos I hope you'll view. Want to help? Send a donation. Snow day project. Study maps. 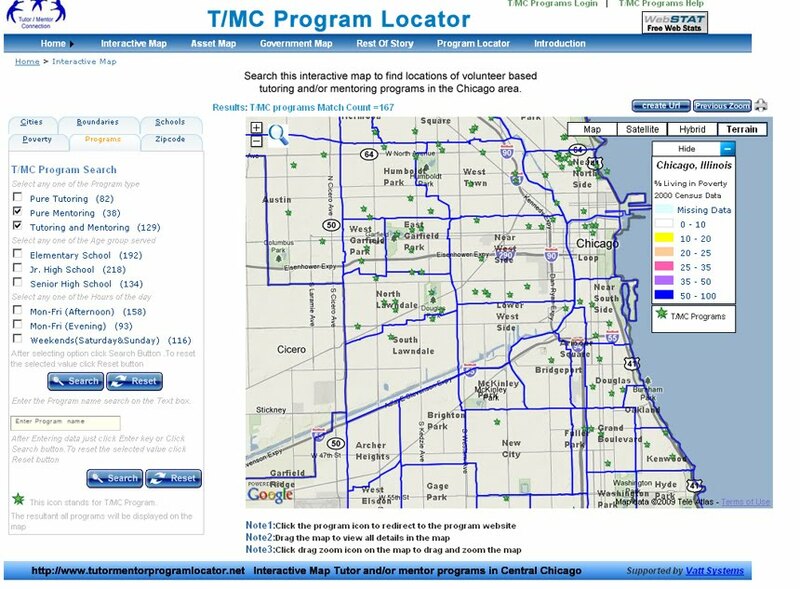 If you're snowed in at home tomorrow, why not spend some time looking at the interactive map page of the Tutor/Mentor Program Locator. 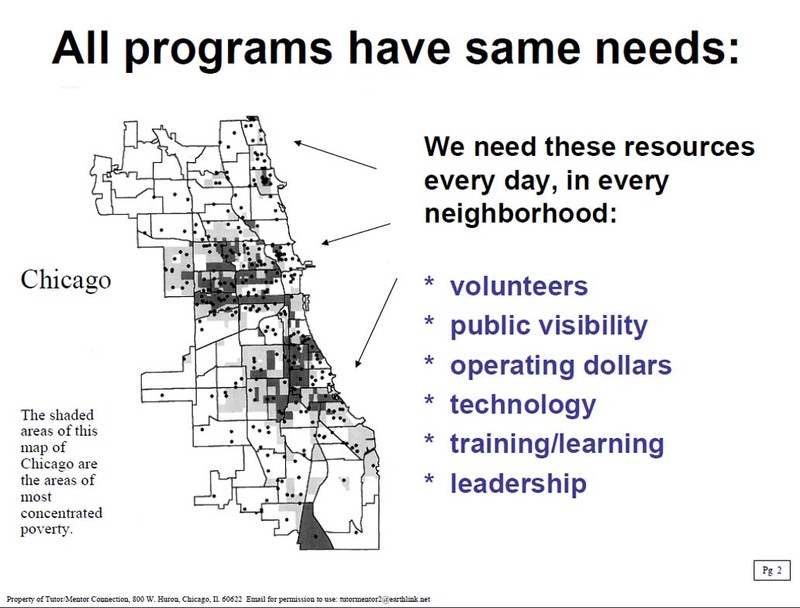 You can use this to learn what (if any) tutor/mentor programs are in different parts of the Chicago area. You can sort by age group to see how well distributed such programs are, and how well we're reaching kids at different age levels. If you click on the green stars on the map which indicate locations of tutoring and/or mentoring programs, you can go to an organization's web site. If you look at enough of these web sites you can begin to form your own opinion about which are doing good work and which need to improve. This users guide pdf shows the features of the Program Locator. 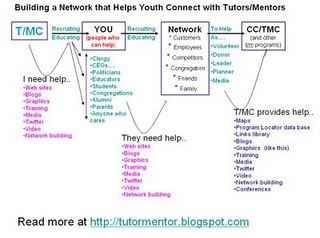 If you know of a tutor/mentor program that is not on the map, just contact the T/MC to get them added. If you see improvements that need to be made to the Program Locator, help us find a donor like the one who gave $50,000 in late 2007 to build this capacity. 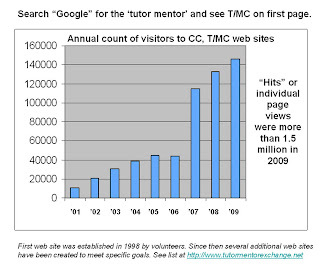 In addition, you can skim through some of the web sites on this section of the Tutor/Mentor Connection web site to learn more about how poverty influences learning and school performance and how tutor/mentor programs like Cabrini Connections are a form of bridging social capital connection kids to people and experiences beyond the neighborhoods they live in. 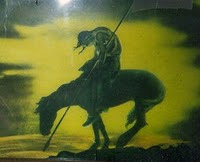 Then read about challenges non profits face. I know most people don't want to think about this but if we want high quality, constantly improving tutor/mentor programs in more places, for more years we need to help them overcome these challenges. You can also read some of our ideas showing what leaders in business, faith groups, hospitals and colleges can do to mobilize support for tutor/mentor programs. Finally, look at your giving budget and see if you can send a donation to Cabrini Connections or one of the other programs on this list. You can also give your time doing one of these volunteer roles. While this list shows opportunities at Cabrini Connections, I suspect most non profit tutor/mentor progams need help in similar areas. If you and others spend just a few hours every couple of months looking at this information, you will know more about ways you can help inner city kids, and you will know more people who you might want to help.